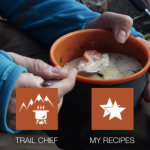 Try these adventure tested meals in a new trail recipe book by trail chef Tanya Krezevska. Food is important, especially in the outdoors where weather and exertion can put the body in a diminished capacity to perform. Beyond the physical need to fuel the body, food is also an important aspect of positive mental attitude and resiliency in the wild. 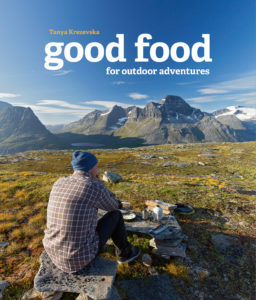 Tanya Krezevska understands the importance of good food in outdoor adventures and has written a wonderful and informative trail recipe book for the rest of us. Tanya is an avid backpacker, trail chef, and educated culinary artist. Her trail recipe book provides a comprehensive guide of 101 field tested (from Nepal to Iceland) outdoor recipes, food planning advice, and food preparation tips. The book is beautifully illustrated, well organized, and easy to follow. A particularly helpful feature of Tanya’s book is the calorie count and prepared weight of each meal. There is also a balanced blend of vegetarian and vegan recipes include in the book for those looking for meatless options. I tried the crunchy peanut butter oatmeal, a new twist to my standard oatmeal trail breakfast. The meal was easy to make, tasty, and kept me fueled throughout the morning. I also tried the pine needle tea, this great trail novelty is better than you might think and is fun to share with friends. 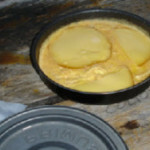 Tanya also provides more elaborate recipes for ambitious trail chefs; the section on wilderness baking and the outback oven is well worth the read. One of the most helpful sections of this trail recipe book is the food planning chapter. Full of helpful advice on preparing and packing meals, this chapter also provides multi-day meal plans. The meal plans ensure you take healthy food on your trip and that you have the calories to complete your journey. If you are looking for awesome food ideas for your summer outdoor adventures, this book is for you! 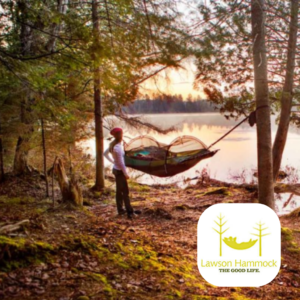 Tanya Krezevska is founder of Trail Recipes, a food blog dedicated to outdoor enthusiasts. 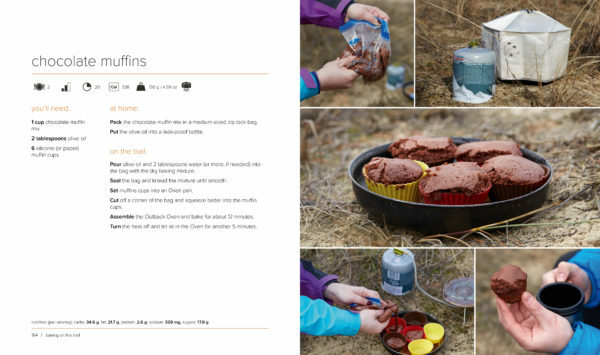 Her recipes have been published in Seattle Backpackers Magazine, MSR Drink Lab, Outdoor Adventure Guide Magazine, Go Outdoors, Est’ Magazine and others.